Using a firewood cover will keep your stack of firewood dry and ready for use. Firewood that has been stacked and left exposed to the weather is prone to becoming damp and difficult to light. It's very frustrating to grab some firewood off your stack and find out it's too wet to burn effectively. Damp or wet firewood uses the BTU's generated by the fire to help evaporate the water from the wood. The sizzling noise you hear when you burn a wet log is the sound of BTU's being wasted. Areas that receive deep snow can also benefit from a cover. The cover protects the dry wood and eliminates the need to clean off the snow before using it. If you do not have access to a firewood shed or structure, a cover is your next best option. It allows you to keep your firewood dry without having to bring it inside, potentially bringing insects into your home. One common, inexpensive way to cover your firewood stack is with a blue tarp. Almost every household has a standard blue tarp laying around. 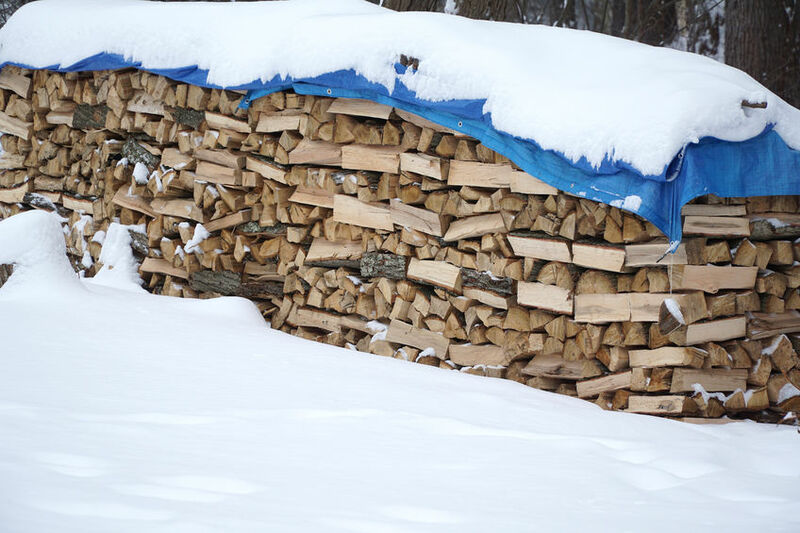 Once the wood is stacked, take the tarp and place it over the top of the stack. Do not cover the entire stack, leave the sides and end of the stack uncovered to allow air to flow through the stack. Completely covering the stack will prevent the moisture from escaping creating an environment where mold can thrive. Once the tarp is placed evenly over the top, tie down the tarp by using some rope or string and some stakes. This will prevent the tarp from blowing in the wind and shredding the tarp. 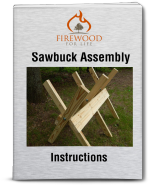 Another option is to buy a commercially made firewood cover specifically designed to cover a stack of wood. These covers are designed to cover the top and sides of the stack and have ventilation holes on the ends to allow airflow. Many come with an access panel on the front that closes with velcro allowing you to seal off the stack. Most covers are made from a thick, durable material that are designed to last for many years. 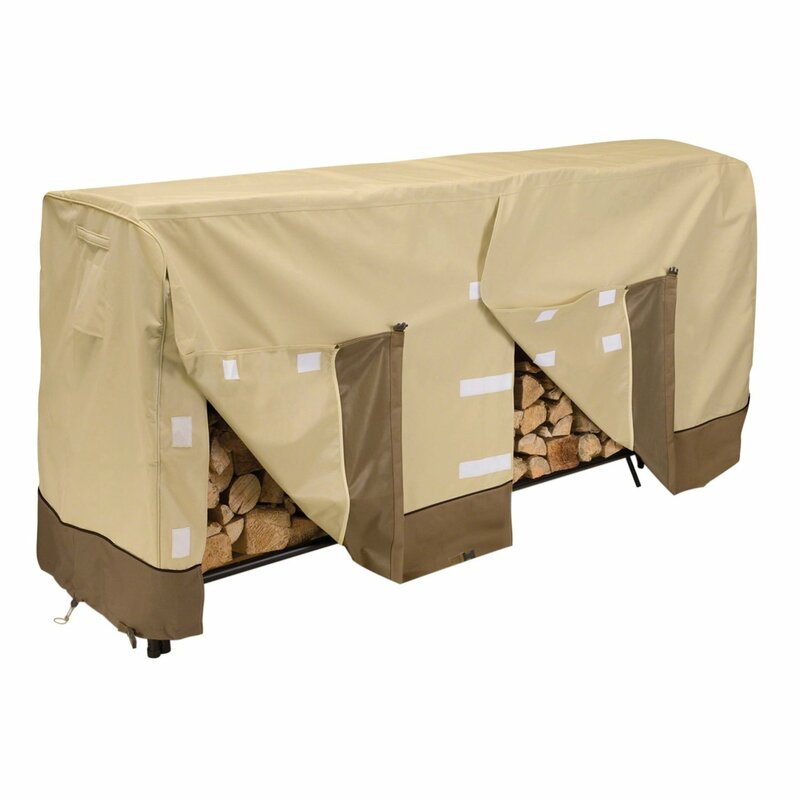 These covers are designed to keep seasoned firewood dry and are not designed to cover green, wet firewood. You should allow your green firewood to season before placing it under one of the enclosed covers to allow it to properly dry. If you purchase your firewood from a local supplier, the wood should be seasoned already. This dry wood can be used immediately with a commercial cover. No matter which option you choose, it's important to somehow cover your firewood to protect it from the weather. Depending on your budget, use a method that works well for you and keeps your firewood dry in the process.